The SMS only option allows you to obtain the location of your vehicle on demand. The SIM card supplied in the OBD150 box can be used with Telstra plans only. It is up to you to activate this SIM card with a SMS/voice plan of your choosing. If you would like to use a different carrier, they will supply you with a new SIM card. It highly recommended to set up an automatic recharge at the time you activate your SIM card otherwise your plan may expire at a crucial time when you need to know where your vehicle is – and you won’t be able to get it’s location! This is not required for Post-Paid plans, only Pre-Paid. 3) Take the entire SIM (both the inner and outer) to your nearest Telstra dealer. Choose a plan and ask for the automatic recharge option. 3) Visit your nearest Optus dealer. Choose a plan and ask for an automatic recharge option. Plan option A: The Vodafone ‘365 Day Starter Pack’ for $50 – but you need to manually recharge after the tracker has sent 150 SMS text location messages. Plan option B: The Vodafone $30 per month ‘Month-to-Month’ plan which provides ‘infinite’ SMS text messages. 3) Visit your nearest Vodafone Shop and choose one of the above plans. 3) Visit your nearest carrier. Choose a plan and ask for an automatic recharge option. 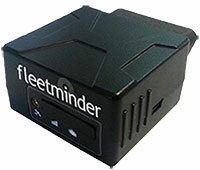 The SIM card will need to be activated by a carrier before your OBD150 tracker will work! Would you like to use Live Tracking instead and see your vehicle live on a web map?